1) Save a list of your favorite wedding and engagement photo galleries. Make sure you like the photos you see on their website. Are they well lit, composed and edited? Do you feel moved, inspired and impressed? Would you like your wedding photos to look consistent in style? Make a list of the best websites. Be selective and honest to yourself, whose’s work do you really love. 2) Take the reviews with a grain of salt. Since the reviews became an industry in itself, please take them with a grain of salt. Are they too good to be true? written by the actual photographer? by brides who might be more or less objective and realistic or they suffer from buyers remorse syndrome? Are they written by real or fake brides? In the world of reviews websites and social media, it is very confusing. We recommend you should trust vendors you have seen for yourself they did a fantastic job at a wedding you attended or even listen to word-of-mouth reviews from family and friends. 3) Allow enough time for your photos to be taken. No matter how good a photographer is, he/she needs enough time to capture all the photos you should have. Make sure you ask your photographer how much effective shooting time he/she needs to cover your three must have photo sessions properly: your formal family photo session, your bridal party photo session and your romantic bride & groom photo session. Approximately 30 minutes for each of these three sessions should be sufficient. Some photographers require more time. 4) Book two photographers, not one. Unless your wedding is tiny and everything happens in the same location, hire a photographer that brings a second shooter for the day. There are too many moments, formals and detail shots throughout the day to be covered by just one photographer. The second photographer would capture the groom getting ready photos and a lot of different angle or photojournalistic style images throughout the day. 5) Do not overwhelm your photographer with “must have” photos you saved from Pinterest or similar websites. When you book your photographer, you love their style. Asking them to mimic other photographers work it’s stressful and they are wondering why were they chosen since you like other’s artist’s work. Allow them to do what they know best and they most likely will deliver the quality and style you loved when you hired them. The photographers produce the best results when they are trusted by their couples. 6) Choose a “Reveal” or “First look” before the Ceremony. If your Ceremony is taking place at the wedding venue and it is followed immediately by the Cocktail Hour, you should see each other before the Ceremony. In this case, the “reveal” moment prior to the Ceremony is the best decision you can make. Instead of rushing the photo session of the family, bridal party and your romantic session through the cocktail hour, you should arrange taking these before the Ceremony. Your family, bridal party and yourselves would be able to enjoy the cocktail hour while your photographers would have time to properly cover your formal sessions well before the Ceremony. 7) Do not let your uncle to be your wedding photographer. This a fine craft, not a point-and-shoot event. It a lot of time, talent and training to achieve the professional results you see in their portfolio. Uncle Bob or your college friend who is now a photography enthusiast cannot meet those requirements. Guaranteed. This is your wedding day and you deserve the best. 8) When planning your timeline, consider drive time, weather conditions and other details. When planning your timeline, be realistic about the places you want to go for pictures. How far does it take to drive there? How much is the photo permit? Will the photographer and his team have spots to park? How much is the overtime for the limo, party bus etc? 9) Consider a fantastic wedding planner or choose a photographer who is also a great wedding planner. A good wedding planner is priceless. Another option is to book a photographer who also helps you with wedding planning advice. Some are very good at it. 10) Sleep well, stay hydrated and eat well. Especially a night before, try to sleep well. You will look and feel great – also it shows in the photos. 11) Book an Engagement Session with your photographer. It’s a great idea to work with your photographer prior to your wedding day. You will see her/him in action, get comfortable being in the front of the camera, getting a taste of her/his personality and building confidence. Plus you will have fantastic shots to share and tease on your social media and material to make those fabulous save-the-dates. 12) If possible, try to keep your hair stylist and make up artist with your for as long as you can. 13) Before the wedding, study bridal and fashion magazines poses that you like. Your wedding photos will come out better if you spend a little time learning the poses that you like. 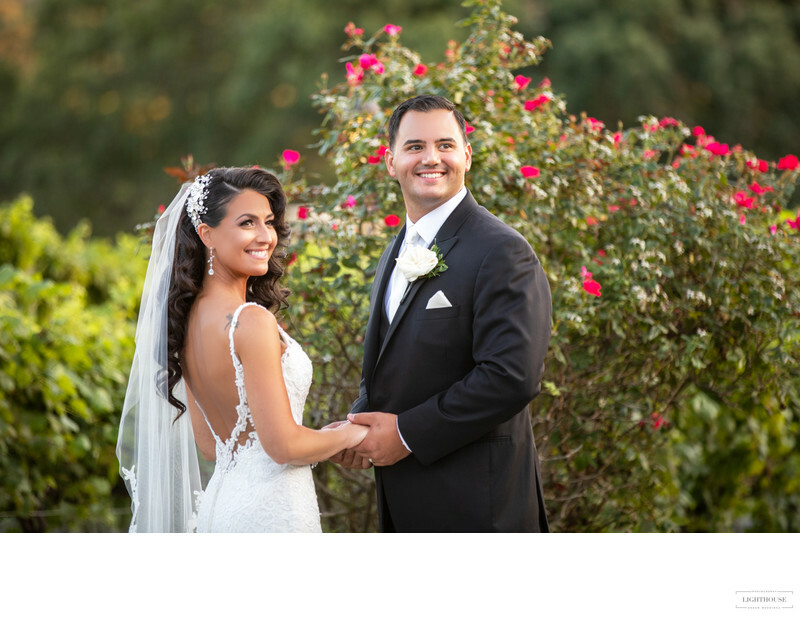 Your photographer will guide and pose you as much as possible the day of the wedding but it helps tremendously if you are already familiar with some of the poses you would like to have captured. 14) Use teeth whitening products and services at your dentist. A happy, confident smile for those stunning closeups is priceless. Always better than Photoshop which, by the way, also costs money. 15) Embrace the day and enjoy every second of your wedding! Have a positive attitude, enjoy every moment of your wedding day, laugh, cry, dance and have a great time! It does show in the pictures. Do not let insignificant details upset you.